Here is what I'm giving my Momma for Mother's Day, but a little backstory first. I am the youngest of 5 girls (bless my Dad, right?) and we have all referred to our family as the circus. If you came to any of our family gatherings you can literally hear the circus music playing. 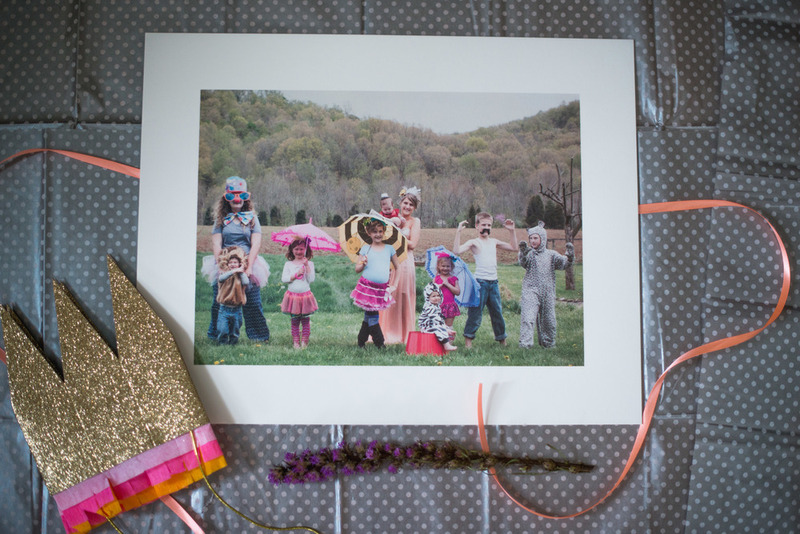 My sisters and I thought it would be a fun idea to have all the grandkids together (there are 10 of them) and they would dress up like they were in a circus, I would take photos and then we would put the photos together and make a beautiful book. The book was for her 70th birthday. This is the gift that keeps on giving! My mom has expressed that she wanted a larger print of the group photo to hang in her house. I got it made and thought I would take some photos of it and also post some of the other photos we took that day.